As you are all well aware, the new FDA ruling will begin on January 1, 2017. This is a good time to cover all of the bases once more before everything goes into full regulations. Bring the therapeutic uses of such drugs (to treat, control, or prevent specific diseases) under the oversight of licensed veterinarians. What Types of Drugs Will be Targeted? These products were used with the intent of enhancing growth or improving feed efficiency. 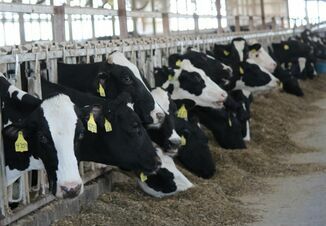 How will producers be able to purchase feed additive antibiotics? The licensed veterinarian has assumed clinical responsibility for the animals and the owner of the animals has agreed to follow the veterinarian's instructions. The veterinarian is available for follow-up evaluation, or has arranged for emergency coverage in the event of adverse reactions or the failure of the treatment. by telephone or other electronic means. 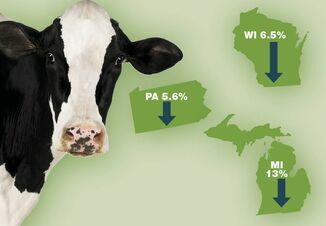 Veterinarians will still be able to prescribe feed grade antibiotics, ONLY if deemed necessary to treat, or control a current disease outbreak. After the prescribed time period has elapsed, the antibiotic will have to be removed from the feed. Using a feed grade medication for any other purpose than is on the label is extra label use and is illegal. One way to view this is; the bag label trumps everything! What is Extra-Label Drug Use? Extra-label drug use can only be prescribed by a veterinarian. Administering products according to label directions includes dosage, route of administration, reason for administration, adhering to proper withdrawal times, etc. The veterinarian knows the producer and is familiar with the farm or ranch and its practices, and is involved in the herd health practices on the operation. The veterinarian and producer must make sure the animal is properly identified, assign meat and milk withdrawal times, and abide by these withdrawal times to ensure no illegal residues occur. Extra-label use of feed medications is prohibited. What is a Veterinary Feed Directive (VFD)? The VFD will only be valid for 6 months, then a new VFD will need to be written. If the VFD expires, and there is medicated feed remaining, it cannot be fed until a new VFD is written for that mixture of feed. 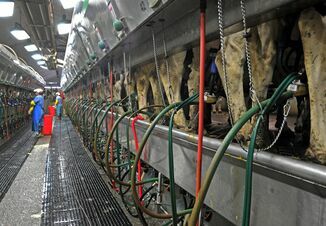 If the producer has cattle in separate physical locations, and each separate group of cattle is being fed a medicated feed, a separate VFD will be required for each physical location. The producer, veterinarian, and licensed feed dealer will be required to keep a copy of the VFD for 2 years. A VFD will be required for minerals/or mixes that contain an antibiotic e.g. Chlortetracycline (CTC). in this ruling, but they are next in line to become script items. Most likely this will not occur anytime soon as a time frame has not been established as to when this will occur. Coccidiosis medications. These medications are rarely used in human medicine, so their use will not be changed.